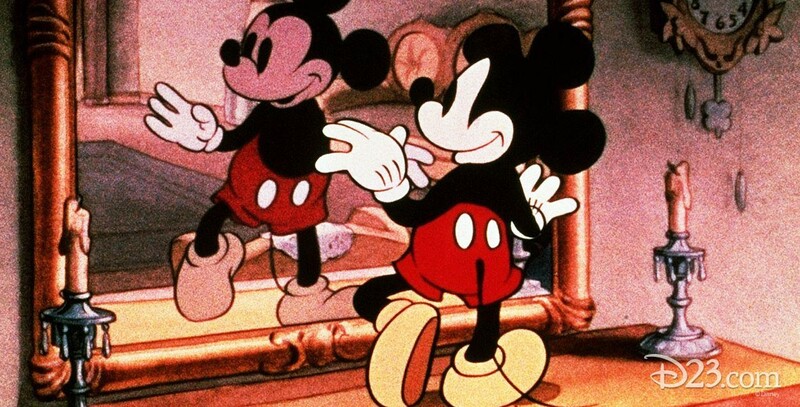 Thru the Mirror (film) Mickey Mouse cartoon; released on May 30, 1936. Directed by Dave Hand. Mickey dreams he steps through his bedroom mirror into a land where all the furnishings and objects are animated and he can interact with them. But they are not all friendly, and after Mickey dances with the queen in a deck of playing cards, making the king jealous, they attack him and send him back through the mirror as the alarm clock wakes him up. Based on the “Alice Through the Looking Glass” story.